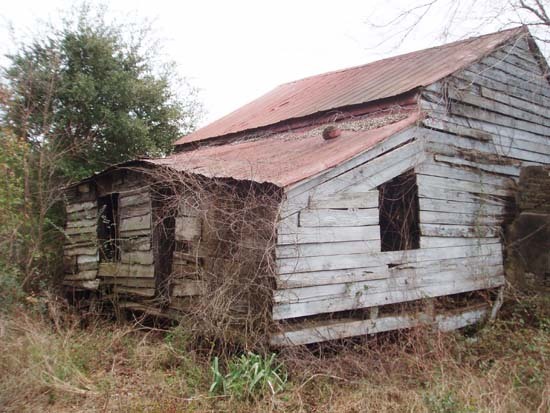 The Smithsonian’s National Museum of African American History and Culture has acquired a historic slave cabin from the antebellum period, located at Point of Pines Plantation on Edisto Island, S.C. The museum is currently conducting research on the cabin, the history of the Point of Pines Plantation and the lives of African Americans associated with the site. Additional research assistance has been provided by Lowcountry Africana, a non-profit organization dedicated to African American genealogy in the South. In late November 2012, the Edisto Island Historic Preservation Society contacted the museum about a cabin located at the Point of Pines Plantation. The cabin was donated to the Preservation Society by the Burnet Maybank family, owners of the Point of Pines Plantation. NMAAHC officially acquired the cabin in April 2013. On Monday, May 13, a museum contractor will begin to dismantle the cabin from its current site on Edisto Island. The dismantling is estimated to take 8–10 days. Point of Pines Plantation, Edisto Island, St. John’s Colleton Parish, Charleston County (located off Route 174 on Point of Pines Road). The following are preliminary research results for the slave cabin located at the Point of Pines Plantation. The information provided will help with further research regarding life at the plantation. The plantation was started by the first settler on Edisto Island, Paul Grimball, in 1674. The plantation was destroyed by Spanish marauders in 1686. The Grimballs re-established the plantation and owned it until Oct. 14, 1789, when Paul Grimball, a descendant of the original owner, with his wife, conveyed the land to Ralph Bailey. The property known as Point of Pines Plantation remained so named after the change in ownership. Ralph Bailey III was born 1752 on Edisto Island, S.C., and died in 1798 at Point of Pines Plantation, Edisto Island, S.C. The private register of Rev. Edward Thomas, as the Rector at Trinity Church on Edisto Island, S.C., from 1827 until 1829 includes extensive information on the free and enslaved people affiliated with the Bailey family. Joshua Grimball, a descendant of Paul Grimball, the original owner of the Point of Pines Plantation, owned enslaved Africans named Wando Pompey, Angolo Ned, Gamboa Sampson, Gamboa George, Angola Sampson, Angola Jack, Cato, Dago and Cudgo. The information regarding the names of the enslaved are based on the estate inventory of Joshua Grimball, dated Jan. 13, 1758, which includes the names of more than 90 enslaved at Point of Pines Plantation.